UNIFONE – A WISP profile by Ernie Newman. 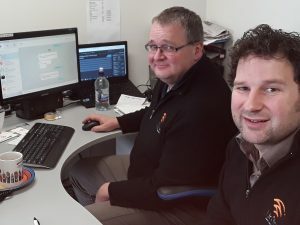 Glenn Hutton (left) and Travis Baird in Unifone’s Balclutha office. Chatting with Travis Baird and Glenn Hutton together in their functional but comfortable Balclutha office you can see why their business, Unifone, is so successful. They clearly get along well – there’s a mutual respect and recognition of complementary skills that has worked well for them since their separate WISP businesses merged in 2016. Way back, while a student living at his parents’ home near Waihola, Travis saw his schoolmates using broadband while he suffered shonky dial-up Internet. With a bit of knowledge about wireless, and some help from his dad who was an electrician, he successfully beamed a signal from Milton to the family farm. The neighbours soon joined in. Then when Travis went on to Otago University he met a group of fellow students who were also into wireless. Soon Unifone was selling broadband connections to numerous student flats. Travis built the business on his knowledge of the market, and his understanding that struggling students can’t sign year-long contracts – a reality that eluded the mainstream telcos. Over time, Unifone came to own the Dunedin student telecommunications market and a lot more besides. Meanwhile Glenn was leaving his role as a plant technician in a major corporate construction company in South Otago and looking for something to do. With a business partner he started a new WISP, Rivernet. 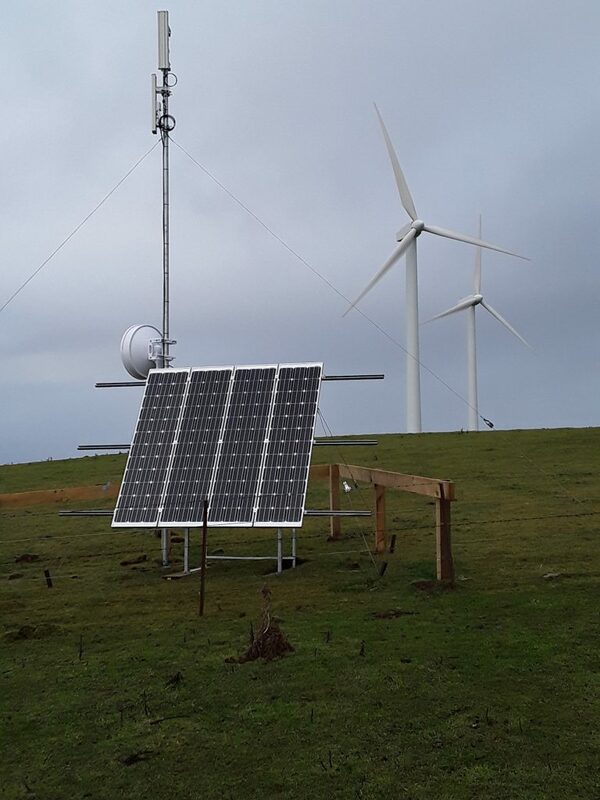 Rivernet announced its presence by setting up free WiFi in the main street of Balclutha and then went on to build wireless sites around south Otago. So, by the time the two businesses merged, both had sizeable footprints – Unifone in the Dunedin-Milton area, and Rivernet centred further south in Balclutha. The merged business took the Unifone name and moved ahead as a single entity, with Travis still based in Dunedin and Glenn in Balclutha. Glenn recalls that when the two were talking about merging he expressed doubt about the potential for any more growth in South Otago. Travis disagreed and said he could easily increase it, to which Glenn responded that Travis would have to be a genius to achieve that. In a very short time he did so, more than doubling the customer count. Unifone’s RBI2 rollout is well under way. Glenn is especially proud of one of the first sites, Tussock Ridge in the Waipori pine forest southwest of Dunedin. Residents there had no connectivity at all until June of this year – not even mail delivery. Now they have full Internet access, with 50% of the residents signing up in the first three weeks after the site went live. 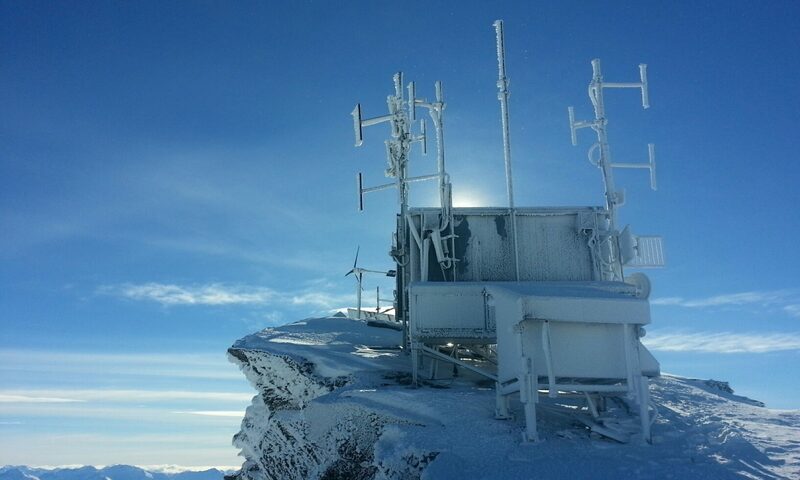 This antenna on Mount Stewart shares its windy location with 9 wind turbines. It’s the first of Unifone’s sites to be built under its RBI2 contract with Crown Infrastructure Partners. It was built in the company’s workshop, then brought to the site and installed by three Unifone staff and fully functional inside a day. Today Unifone is growing steadily with around 60 wireless sites and 1800 customers as well as “white label” retail service providers. Most of the sites are owned outright by Unifone, although a handful are community or privately-owned sites. Unifone prefers to own the sites outright to keep the operation simple. The northern boundary of the network is the Pigroot – the legendary State Highway 85 between Palmerston and Alexandra. In the south it ends at Kaka Point in the Catlins. Westward, there’s a strip right into Central Otago including Middlemarch and the Maniatoto region. Wireless hotspots abound on the Unifone network – in main streets, hotels, halls of residence and student flats. At the other end of the scale most customers are outside the 50kmh zones. About half are farmers, mostly dairy. Not only the managers are Unifone customers – farm workers need the Internet as much as anyone else, so there are numerous farm cottages connected. Some are paid by the farmer, and others direct by the employees. There’s a huge turnover in farm workers but Unifone has noticed recently they’ve become more confident to sign up for two years. Unifone’s team comprises about ten full timers. Glenn drives the desk while Travis drives the technology and the money. Tom is Operations Manager, Chris is support technician and handles Customer Services, while Sarah (Glen’s daughter) works part time on the phones. Office Manager Viv handles payroll. There are 4 technician/installers – Mitchell is the electrical and civil works technician, Troy and Kingsley are field techs based in Dunedin, and John is the field tech based in Balclutha. Unifone has three years of growth ahead with existing contracts. It also hopes to win a part in RBI2a – the next iteration of government funding. Whether that happens or not, the business is humming along and the future looks bright. Julene and Garry McCorkindale have been customers of Unifone from early days – way back before the merger with Rivernet. Nowadays their Simmental bull stud boasts a variable speed wireless router in the stock handling yard. Its configured at a low speed for most of the year, but as sale time nears it is ramped up. That allows the sale to be live streamed, and potential buyers from afar to bid remotely by contacting their stock agent on site over Facetime or Messenger services. “With high speed broadband there’s a whole new level of opportunity,” Garry says. His vision is to develop a fully online auction with its own app so that a group of buyers can watch live while communicating back to their agent and lodging bids. Meanwhile, Julene uses the Unifone network to support her separate business – developing sales with prospective clients in the USA and UK using Skype and other platforms that enable all-important face-to-face contact. Speech for RBI2 Launch – Mystery Creek, Waikato.